Mosquito Joe is Your Ultimate Recurring Revenue Based Business! Make your dream of business ownership with the freedom to spend more time with your family a reality by becoming a Mosquito Joe franchise partner. Start your own business with financial backing and support from a highly experienced team with a track record in building highly successful national brands that are now "household names." 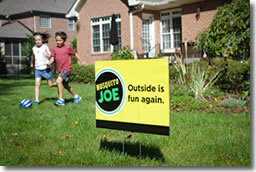 Mosquito Joe will quickly become America's neighborhood outdoor pest control service eliminating mosquitoes, ticks and fleas making "Outside fun again." Mosquito Joe offers a tremendous opportunity for those looking to build a successful and lasting business as a recognized leader in the booming $11.4 billion pest control industry. Best name in the business and a highly memorable image…IT WORKS! We're looking for franchise partners who are motivated and ready to make a commitment to their future and the future of Mosquito Joe. This is a great opportunity for someone looking to add a home-based business to their portfolio, to run a seasonal business, someone with home services experience or someone looking to serve their community. Potential candidates must have a minimum liquid capital of $20,000. 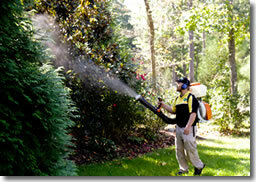 The Mosquito Joe ownership opportunity is unlike any other business opportunity. 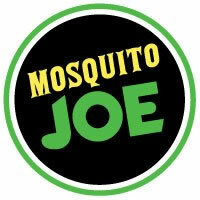 Mosquito Joe is a world-class franchise company, granting franchises for a limited number of exclusive territories in cities across America building a household name market by market. We are talking to motivated people to operate Mosquito Joe businesses across the country. If you are looking for an add-on or full-time business, seize your territory today and take control of your future before it's too late. 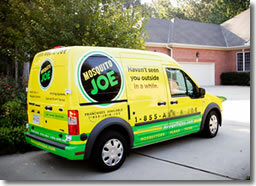 Click on Request Information for FREE info on how to open a Mosquito Joe franchise today! Please Note: This Mosquito Joe franchise opportunity and other franchise business opportunities, businesses and franchises for sale on this web site are not to be considered as an "offering", "franchise offering", suggestion or recommendation by Franchise Leader™. This advertisement depends entirely on the truthfulness of the information provided by our advertisers which includes, but is not limited to, franchisers, franchise brokers, franchise consultants and business brokers. Franchise Leader™ recommends that you consult a lawyer, financial consultant, accountant or professional advisor before buying a franchise or business opportunity or any type of business. By using this form or any part of our website, you have agreed to all terms and conditions of Franchise Leader™. Please review our Terms & Conditions for more information.